I will be making this over, and over and over again. First, because I am a total sucker for anything with sour cream, and second because it’s completely amazing. 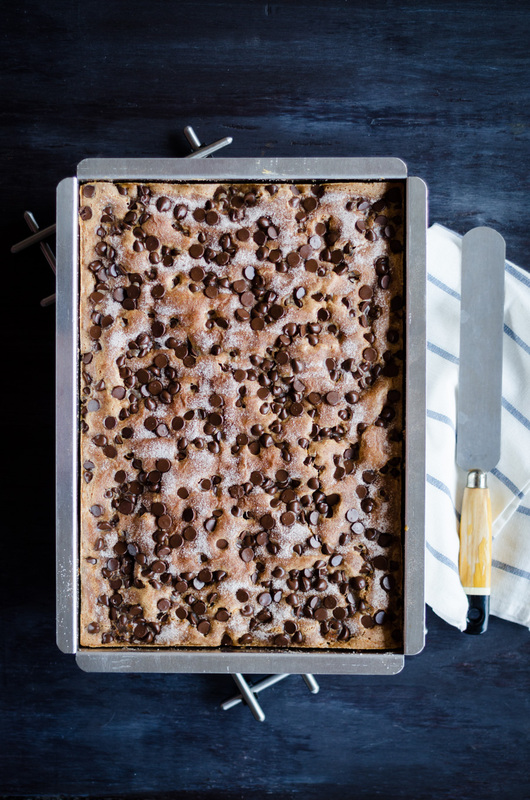 How could you go wrong with soft, fluffy cake studded with two layers of chocolate chips and cinnamon sugar? Mike’s little brother put it best, “Oh my god Heather, this cake is like crack!”, after proceeding to consume about half the pan. 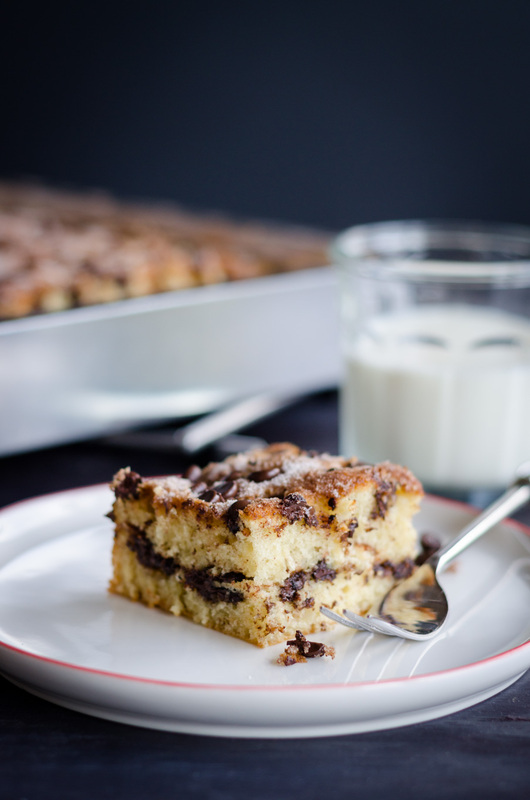 Now – go forth and bake yourself some extremely delicious, ridiculously easy Chocolate Chip Sour Cream Coffee Cake – you deserve it! Preheat oven to 350°F (175°C). Butter a 9-x-13-inch baking pan. If pan is not nonstick, cover the bottom with a rectangle of parchment paper. Set pan aside. For the cake, in a large bowl, cream butter and sugar. Beat in egg yolks and vanilla. Sift flour, baking soda, baking powder and salt together into a separate bowl. Alternately mix in sour cream and then dry ingredients into butter mixture until both are used up and the batter is smooth and very thick. Set aside. In a medium bowl, beat eggs whites until stiff, then fold into batter. To prepare filling, whisk together sugar and cinnamon in a small dish. Set aside. 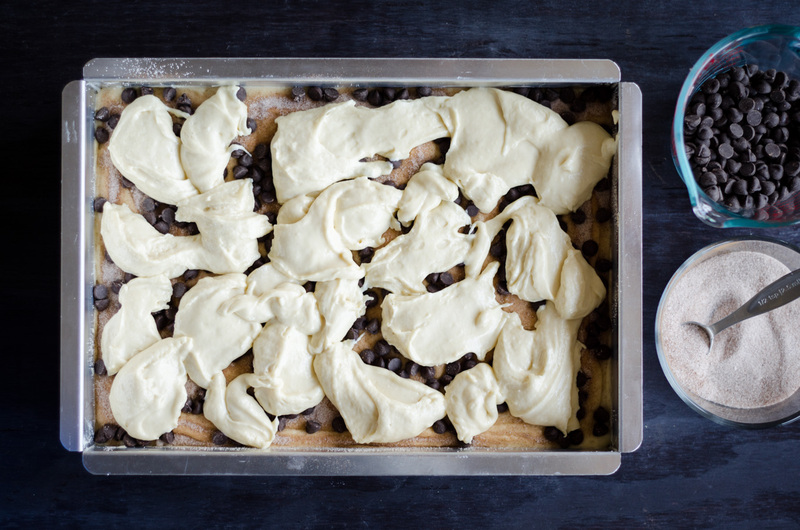 To assemble, spread half the cake batter in the bottom of prepared pan. Sprinkle with half of cinnamon-sugar mixture and 1 cup of chocolate chips. Dollop remaining cake batter by over filling in spoonfuls. Use a rubber or offset spatula to gently spread it over the filling and smooth the top. 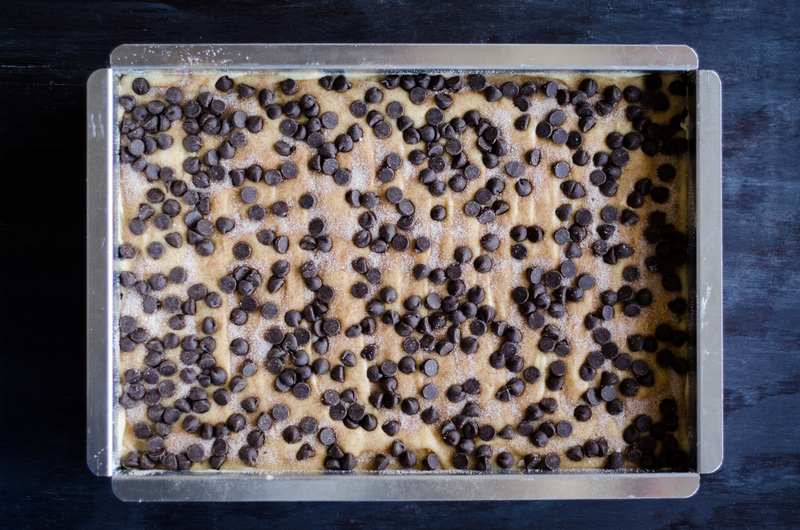 Sprinkle batter with remaining cinnamon-sugar and remaining chocolate chips. 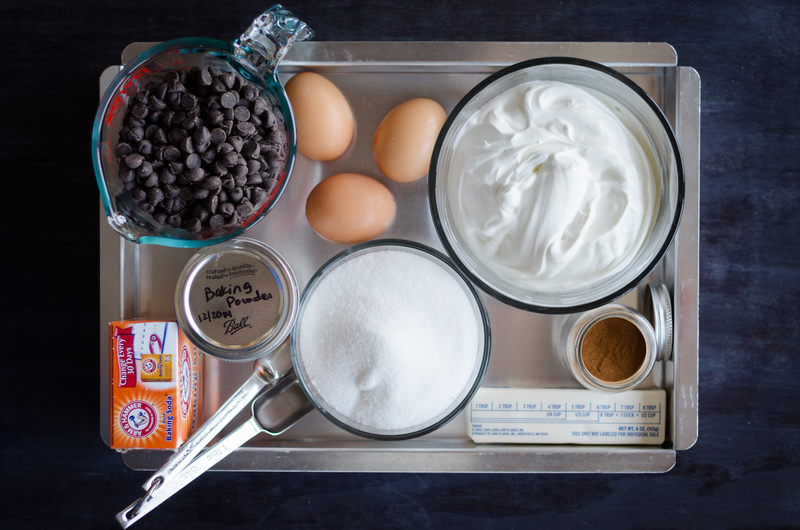 With the palm of your hand, gently press the chocolate chips a into the batter just to make sure they adhere. Bake for 40 to 50 minutes, rotating halfway through, until a tester inserted into the center of the cake comes out clean. Cool completely on wire rack (if you can wait that long).